For much of her career at Northern Illinois University, LaVerne Gyant has adeptly juggled two very important roles; one a highly respected faculty member in the College of Education and the other as director of NIU’s Center for Black Studies. After 17 years in her leadership role at the center, Gyant has decided to take on increased faculty responsibilities and is returning to her full-time position in the Department of Counseling, Adult and Higher Education. Joy Coates has been named acting director for the Center for Black Studies after serving as the center’s associate director since August 2013. A search for a permanent director will be launched in the spring. Among the Gyant’s many contributions as center director is the establishment of the John Henrik Clarke Honor Society that recognizes African-American students for their academic accomplishment, community service and leadership development. “LaVerne has been a trusted adviser to a number of campus organizations and a mentor and role model for many of our students over the years,” said Lisa Freeman, executive vice president and provost. “Under her leadership, the Center for Black Studies has become an important academic resource, as well as a thriving cultural center. The Center for Black Studies enriches the NIU community by emphasizing academic excellence, and by encouraging the exchange of ideas about complex issues related to race, justice, and equality in our society. When the center was preparing for its 40-year anniversary in 2012, Gyant spoke of how the Center for Black Studies is where students, no matter what their race, can network with classmates and feel at home. Gyant plans to stay involved with the Center for Black Studies, teaching a class at the center each semester. 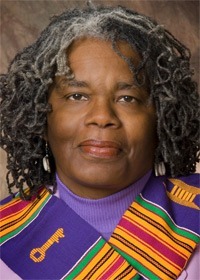 During her time at the university, Coates has collaborated with student organizations, diversity centers, campus units and community partners to plan campus-wide academic, social and cultural programs. Coates serves as an adviser to the Black Graduate Student Association, CONNECT mentoring group and the Black Studies minor. She also teaches courses in the Black Studies minor. She earned her bachelor’s degree in liberal arts from Columbia College Chicago and a master’s degree in African and African American Studies from the University of Illinois at Springfield. She holds a Ph.D. in history from the University of Illinois at Urbana-Champaign. The university community is invited to attend an event celebrating Gyant’s tenure as director of the Center for Black Studies from 3 to 7 p.m. Friday, Sept. 18. 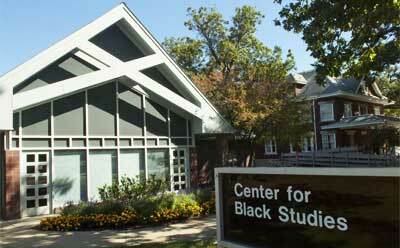 The event will be held at the Center for Black Studies. For more information on the event, call (815) 753-1709 or email chenderson@niu.edu. Next Post:How can schools respond to bullying?